Lives in a swamp like terrain . 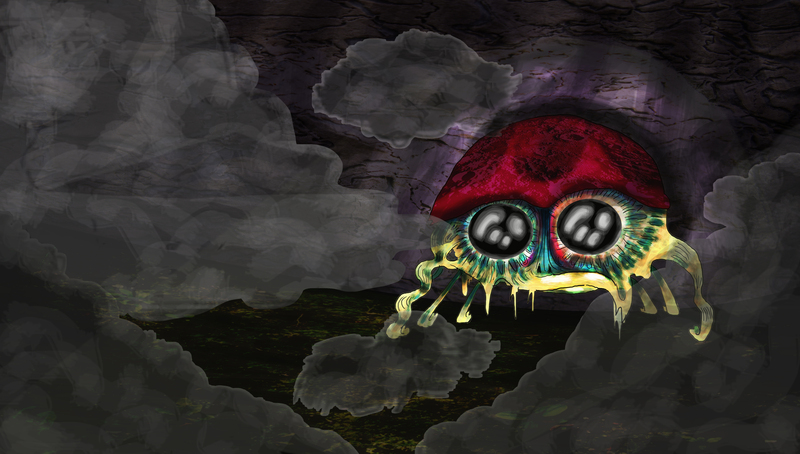 They grow up in eggs inside the trees in the swamp, making a huge lump on the trees. After they hatch out they live in caves and cavesystems. They occationaly swin in the swampish small lakes. They are result of a foggy and waterbased atmosphere in the swamp. They have claws like a mole, which they use to dig the caves that they live in. They live in a system, and it resembles one of a wasp or ant, and its a community of kin selection. In the movie they represent the first ever complex life(not counting plants and grass) ever found outside earth, which is seen as a huge thing. They later turn up in an hallucinogenic scene, where they also talk. It is believed they have a common ancestor with the other intelligent creatures that used to live on the planet. Kind of in the same way as monkeys and humans. The influence of the design you can read about here.